Sydney Edward O. Sawyers was the son of John and Mary Anne Sawyers who were living at 17, ElmLodgeAvenue, Reading at the time of the 1911 census. John Sawyers is recorded as an army pensioner and bank porter. Sydney is recorded as a railway clerk and younger brother Leonard a tramway conductor, Gertrude at 13 years was still at school. Sydney is commemorated on the grave of his sister Gertrude. The grave monument is badly damaged, the grave number is 15870; the Berkshire Family History Society classification is 67C11. 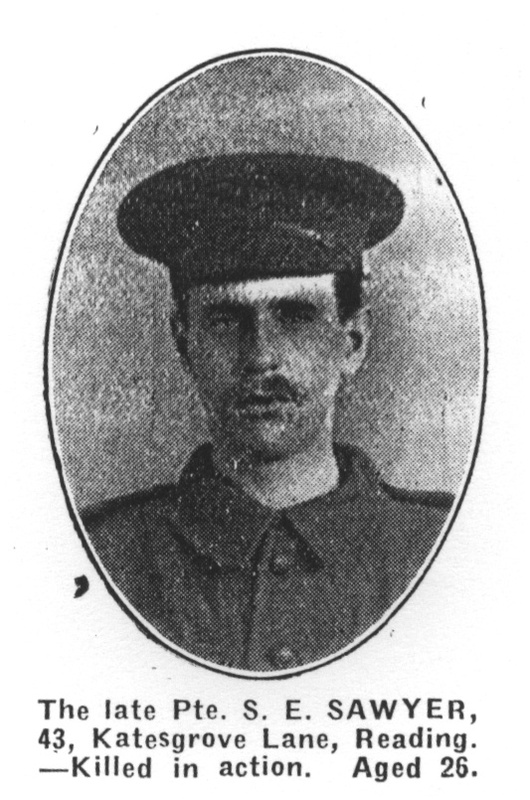 Sydney lost his life on 25th September 1915, the first day of the Battle of Loos. 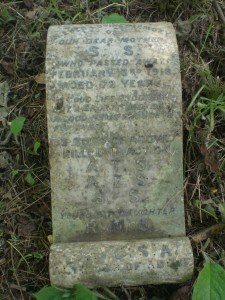 He is buried in the Dud Corner Cemetery, location VI.E.14. The walls of this cemetery form the massive Loos Memorial to the Missing. Charles Victor Schofield was the son of Richard and Emma Schofiled. The 1901 census has the family living at 7, Donnington Road, Reading. The family then consisted of both parents and their four children. Richard 22 was an architects assistant, Elizabeth 19 a School Board teacher, Edgar 16 a shoe repairers assistant and Charles, the youngest, who was then 9 years old. In 1911 the family were living at 135, London Road and only Charles and Edgar were living at home. Charles was a gasfitter and his brother a photographic printer. The photograph indicates a differect address for Charles by the time he enlisted – 69, Donnington Gardens. 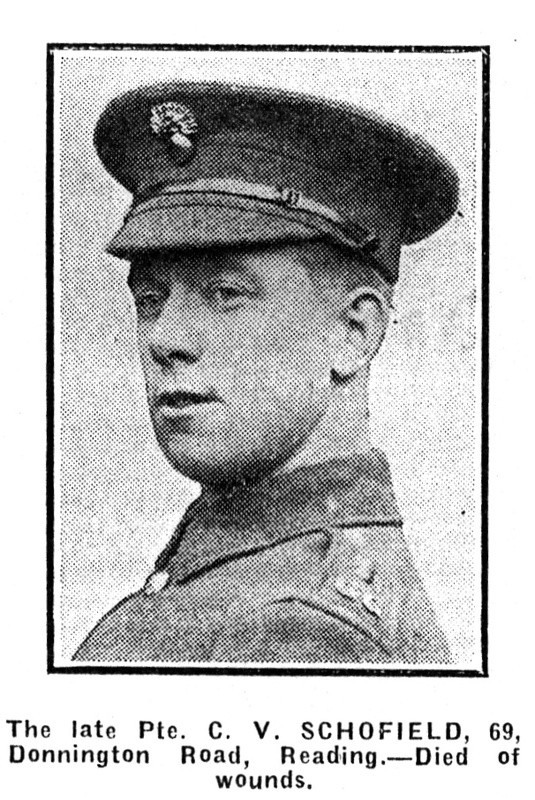 By the time CWGC registers were compiled after the Armistice his father, Richard William Schofield, had moved to 359, Elgar Rd. No service record is available for Private Schofield.The CWGC register indicates that he died of wounds on 20th December 1917 and is buried at St. Sever Cemetery Extension, Rouen, location P.V.D. 3B. It is not known how or when he was injured however, the British advance on Cambrai had started on the 20th November 1917. The Grenadier Guards had been involved in severe fighting during Third Ypres and their Division was involved in fighting at Bourlon Wood and the counter offensive at Cambrai. Rouenwas the home to severalmilitary hospitals and Privat Schofield would have experinced the full range o Army Medical Corps. services from battle front to base hospital before he died. It has taken much research to establish the full name of Private Schofield who for a long time was only known to me by his initials. In 1911 Sarah Searing was living at 101 Watlington Street, Reading. She lived with her daughter, also called Sarah(31) and her three sons Albert (27), Amos(30) and Samuel(26). All three were labourers, Albert worked as a bricklayer’s labourer, Amos worked at the tin factory and Samuel at the biscuit factory. In 1901 the family lived at 88 Watlington Street,The County Tap, and Sarah the mother is described as the innkeeper and her daughter as barmaid. All three men are commemorated on their mothers grave but only their initials are given. It has taken some energy to establish thier identities. Sister Sarah’s details are only given on the CWGC register for Albert and then no first name is supplied: Miss S. E. Searing, of 31, Cortis Avenue, Broadwater, Worthing. Tragically all three brother have no known graves and there commemoration in the cemetery rendered them almost invisible. 13 August states two killed and seven wounded. There are no other details but the circumstances seem strange. 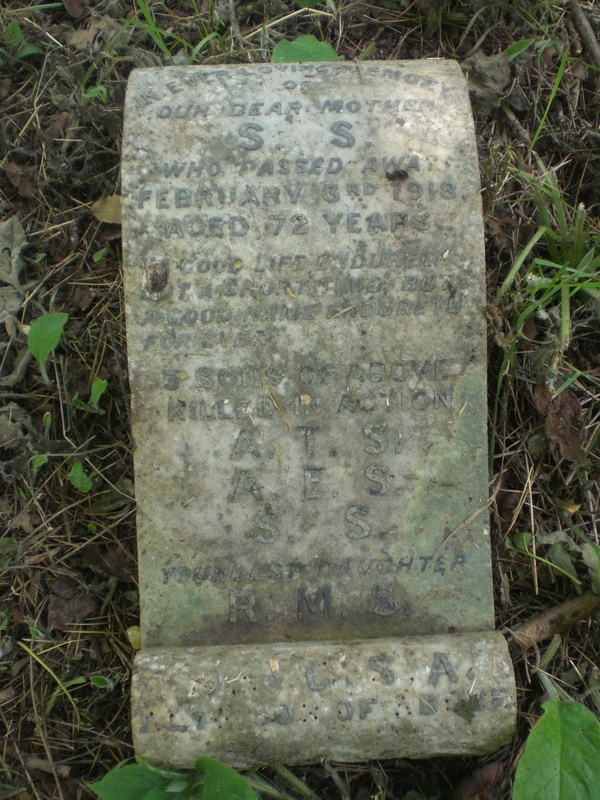 Amos Searing died on 2nd April 1918. Born about 1881 he was thought to be about 37 on his death. 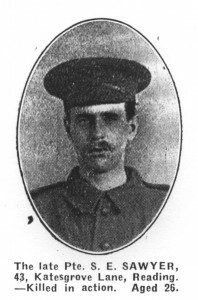 He is commemorated on the Pozieres Memorial to the Missing, Panel 56 & 57. Samuel Searing He died on 22nd August 1917 it is thought that he was about 32. 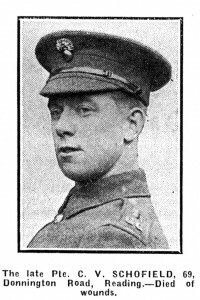 He is commemorated on the Tyne Cot Memorial to the Missing, Panel 105, 106 and 162.